How is life in Fjaerland? Curious? Familiar, and still unlike anything else. In this small, peaceful and beautiful village, nearly 300 people live, work and build families and homes. Our tight-knit, welcoming community, full of activities for work and leisure, is what we call home. There's room for you, too! Don't hesitate to contact us if you want to become one of us (form at the bottom of this page). Webcam in Mundal, Fjaerland, right now! The centre in Fjærland is Mundal, about 3 km off the main road, down the fjord. Mundal includes school and church (open to the public in summer), as well as shops, hotels and other services. In Mundal you also find The Norwegian Book Town with several picturesque second-hand book shops. Mundal, the village centre of Fjaerland, a warm summer day. Photo: Finn Loftesnes. The people who live in Fjaerland work within a broad range of professions. Some of us are farmers, which traditionally has been the main outcome in Fjærland. Today, many of the villagers work in trade and services, both private and public. We work in schools, health care, grocery shops and restaraunts. We do carpenting, plumbing, construction work and tourism. The latter developed as tourists started to explore Fjaerland, and today this industry has a great impact on Fjærland in the summer season. Fjaerland's location makes it easy to commute to other villages in the region. There are ample job opportunities approximately 30 - 60 minutes travel time from Fjaerland. There are also people who commute to Fjaerland for work. A year in Fjærland usually has two very distinct and different seasons: Winter and summer. In summer, we busy ourselves with running all the tourism-related businesses, and arranging fairs, concerts and a number of exciting and original events - such as the quadrennial Round bale festival. Wintertime is the season for running the myriad of organisations in Fjærland, and planning for next year. By population, Fjærland has a vast number of organisations for all interests and abilities - whether you like dancing, all kinds of sports, music, hunting, politics, handicraft or history - to name a few - there is something for you here. Newcomers in Fjærland are quickly included in the rich organisational life. You can make a difference in this community. Living in any community is so much easier once you know the language. In Western Norway, the dominant written language is nynorsk. Courses are readily available, and Fjærland has many eager helpers to get you up and going. As a starting point, we recommend eg. the nynorsk version of 50 languages, a free webpage and app. Culturally, we may not differ much from other Norwegians, but we feel there is an atmosphere of openness for new ideas and people. We have a well-developed sense of independence, self-sufficiency and entrepreneurship. Rituals are important in any community, and we gather for several traditional events and happenings each year - the Advent concert in church, several parties at the assembly house, festivals, bingos and dances. The Solstice bookfair and the end-of-term show at school are popular across generations. Fjaerland is a part of Sogndal municipality, where Sogndal is the centre, about 30 minutes south of Fjaerland. In total, there are 8000 inhabitants in Sogndal (2018). As many of us are entrepreneurs and run our own businesses, you'll find a broad range of companies in Fjærland. They have their own local organization to work for common interests. 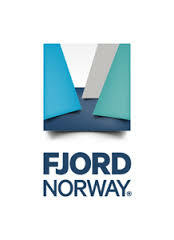 Search "Fjærland" at Finn.no if you are interested in buying or renting residence. You are of course welcome to contact us if you have questions or simply want a chat about aspects of living here.